To Christ, Through Christ, For Christ. The Mission of the Church is to carry out the Great Commission of Jesus Christ, to go into all nations and make disciples of all people without regards to their race, color, class, or background; and to bring the church to the unity of the faith, unto a perfect man, and unto the measure of the stature of the fullness of Christ. +Be conformed to the image of Christ, the perfect man and our gracious God. 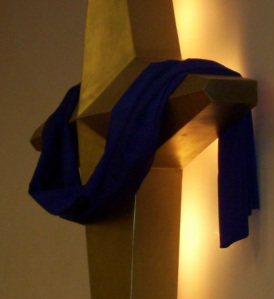 +Bring unity through Christ to His body, the church. +Make disciples of all nations, ethnicities, classes and background as Christ commissioned. The vision of the Citadel of Love is ever evolving as the needs of the people it serves develop and become clearer. We believe that while worship is our chief aim, God has assigned us to be His messengers here on earth. Therefore, we desire to share the love of Jesus Christ and provide a refuge that is clean, safe and fun for the residents of the city of Hartford. We would like to develop a community center that would cater to disadvantaged youth. This center will contain basketball, tennis, and volleyball courts, and Olympic sized swimming pool, and a full service fitness center. It is our desire to provide a viable alternative to gang violence, drugs, alcohol abuse, and the other ills that plague our youth. While the recreation will be a major drawing card, we will also develop their minds through the after school tutoring/learning center which will employ tutors and be outfitted with the most up-to-date computer technology. We also plan to build a senior citizen’s complex and a daycare facility that will have two divisions-one for children and another for the elderly. While the church will continue to minister healing to hurting souls, we also plan to develop The Healing House-a care facility for the people suffering with HIV/AIDS, and the Happy Home-a transitional home and counseling center for abused women. The Citadel of Love currently has a reputation for its music and its musicians, and to continue to develop young minds for musical excellence, we will establish the Citadel Music & Arts Creative Center. We also plan to establish a permanent home for the Citadel Closet-a place where people can receive free clothing and free food. In Matthew 10:8, Jesus said, “Freely you have received, freely give.” It is our desire to provide these services without cost to the public, wherever possible, for the betterment of our society. 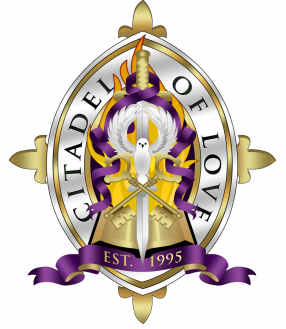 Membership Description: The membership of the Citadel of Love is nothing short of a miracle. The membership of the Citadel began with 13 willing soul who connected themselves to the vision of our Founder. Due to consistent evangelistic efforts, the Citadel has seen steady growth. We currently have a predominately youth oriented ministry with many college and college bound students as well as many degree recipients who faithfully serve God with their lives. Recently, we have recognized a growing adult component which has helped to balance our ministerial endeavors. With a strong passion to minister to the needs of the people, the membership of the Citadel of Love has increased a hundred fold and the great harvest of souls continues to this day.